$44.99? That's just crazy. I didn't realize this was a Disney release. That date of June 30th is just a placeholder I'm guessing...over 7 months away. Even a Disney is too expensive at $44.99. I agree! For that price tag, that is the least we can hope for..
less quantities so they are increasing prices...BB just greedy. even Venom & Predator are wayyy overpriced! I'll now have to check if we get the Target digipack here… or import if needed. No way I'm paying 52$ for this atrocity! 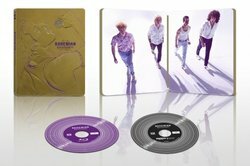 Do we often get the same digipacks that Target has? If so, who carries them? I have a 10% discount I used on this so I might as well save the $5 and change for it. early contender for 2019's worst stand alone steelbook...and they are charging almost 55 loonies for this? Looks like stock was released to stores. Is this becoming a trend? The Grinch in stores last week. The Predator is a Fox title and it was released to stores. 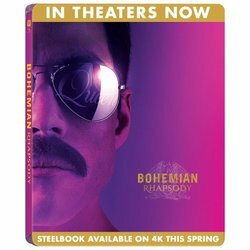 Bohemian Rhapsody is also a Fox title. No one knows, not even bestbuy. Like I said before @Stygian bestbuy likes to keep us on our toes and surprise us every time.